In a recent bicycle accident in Bridgewater, an 81-year-old cyclist was severely injured. According to recent reports, his condition has grown worse. It all happened as the elderly rider was riding in the breakdown lane on Pleasant Street when his bicycle was hit by a passing motorist that was heading in the same direction, according to the Taunton Daily Gazette. Immediately following the accident, the rider was transported to the Good Samaritan Medical Center in Brockton and then later taken to Mass General via MedFlight. It was there where he was admitted to the surgical intensive care unit. Last reports indicate that his condition was deteriorating. Our Bridgewater bicycle accident attorneys understand that there were more than 600 bicyclists killed in auto-related accidents in just 2010. According to the most recent statistics from the National Highway Traffic Safety Administration (NHTSA), there were another 52,000 bicyclists killed in these kinds of accidents. You may not think that there are a lot of bicyclists on roadways, but these traffic fatalities account for 2 percent of all of the fatalities during the year. 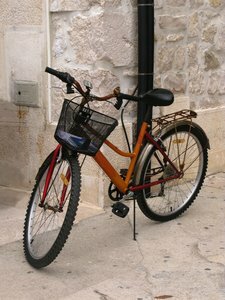 Bicyclists are some of the most vulnerable travelers on the road. Bicyclists are urged to be extra careful when traveling along our busy roads. When riding a bike you should always cross the street at an intersection with a crosswalk or with a traffic light. Nearly 70 percent of all fatal bicycling accidents in 2010 occurred at non-intersections. Bicyclists are also warned when traveling during the evening hours. About 30 percent of these accidents occurred between 4:00 p.m. and 7:59 p.m. The second most dangerous time for these accidents was from 8:00 p.m. to 11:59 p.m. If you happen to be 42-years-old you might want to be a little more careful when biking around the city, too. The average age of bicyclists who were killed in traffic accidents in 2010 was 42. During the last decade, there has been steady increase in this average. Don’t forget about the kids though. Our youngest riders may not be able to comprehend the dangers that come along with traffic. They may dart out into traffic. They may not stop for oncoming vehicles. And they may wind up in a potentially fatal accident. Be sure to keep an eye on the young riders in your family. If they’re under the age of 10, don’t let them ride without the supervision of an adult. In 2010, bicyclists under the age of 16 accounted for more than 10 percent of all of the bicyclists who were killed and another 21 percent of all those who were injured. If you or someone you love has been injured or killed in a bicycling accident in Boston, Foxborough, Quincy or elsewhere in the state of Massachusetts, contact Boston Injury Lawyer Jeffrey S. Glassman. Our law firm offers free and confidential appointments to discuss the rights and the cases of accident victims. Call 877-617-5333 to schedule your free appointment today.